NICCY’s Youth Panel support and advise on all aspects of the Commissioner’s work. Two NICCY Youth Panel members were selected to represent the group at the ENYA meeting in Barcelona in June. They have each written blogs to document their experience. 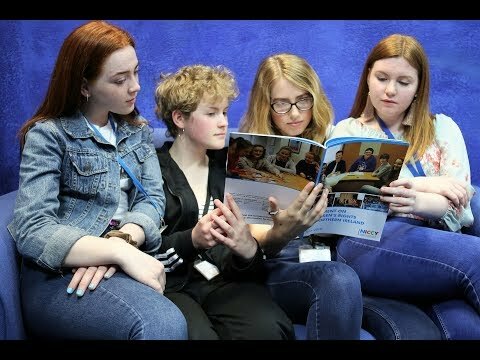 For Children’s Mental Health week 2018 members of the Youth Panel have written a series of blogs that explore how children and young people’s mental health can be affected. Each blog considers the issue of mental health and wellbeing through a different lens. These blogs are written by youth panel members and are their own thoughts and opinions. For more information please contact a member of the participation team on 02890311616 or participation@niccy.org.